The Trust for Public Land announced today that it has reached an agreement with River Sound Development, LLC, to purchase 1,000 acres known as The Preserve – the last large unprotected coastal forest between New York City and Boston – for conservation, recreation, and habitat protection. If the acquisition is successful, the land will be permanently protected from future development and open to the public to enjoy for passive recreational activities such as hiking and wildlife viewing. The property, which is rich in natural resources and wildlife, will connect to 500 acres of existing town parkland and miles of existing hiking trails. Alicia Betty, The Trust for Public Land’s Connecticut State Director, said her organization is moving forward with the acquisition and fundraising efforts to raise $10 – $11 million in public and private funds by June, 2014, in order to acquire the property and cover stewardship and costs. Located in Old Saybrook, Essex and Westbrook, CT, The Preserve includes 38 vernal pools and 114 acres of wetlands and more than 3,100 linear feet of watercourses. The dense canopy of forest and the Pequot Swamp Pond act as a refueling stop for many migratory birds, and the many freshwater seeps on the property are home to amphibian species such as the northern dusky salamander, spotted turtles, and box turtles. Bobcats and fisher cats have also been spotted on the property. In addition to its recreational and habitat resources, The Preserve provides important water quality benefits to residents. Surface waters on the property drain to 3 different watersheds: the Oyster River, Mud River and Trout Brook, as they make their way to Long Island Sound. The protection of The Preserve will ensure that stormwater on the site is recharged to local aquifers. An aquifer protection area is located just east of the Preserve and supplies an average of 200,000 gallons per day of drinking water to Old Saybrook and surrounding communities. The Preserve is located in the area designated by FEMA’s Hurricane Sandy Impact Analysis as having experienced “high impact” from the Superstorm Sandy. Coastal forests like The Preserve have been losing ground for some time as saltwater gradually moves inland as a result of rising tides and sea levels. 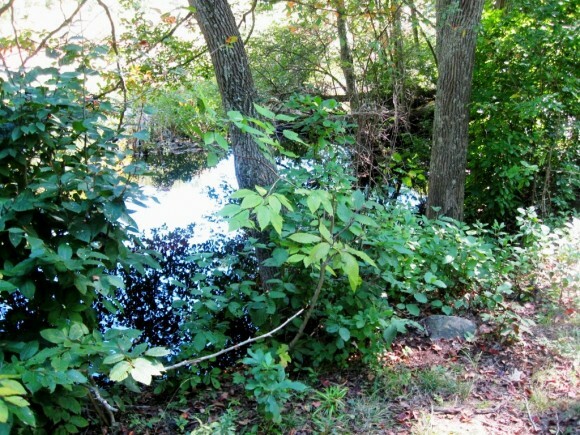 The Preserve acts act as a sponge for stormwater, releasing it slowly into the tributaries and rivers that lead to the Connecticut River and Long Island Sound, protecting downstream property owners from flooding. “This is an immensely positive development, and I commend The Trust for Public Land for their leadership in preserving and protecting this priceless natural resource. As Attorney General, I was proud to fight on behalf of hundreds of Old Saybrook residents and environmental advocates seeking to protect The Preserve from ecologically devastating development. Once lost, forests and habitats such as The Preserve can never be recovered. This is a great day for Old Saybrook, Long Island Sound and Connecticut’s environment,” said U.S. Senator Richard Blumenthal. The Preserve was the subject of development proposals dating back to 1998, including plans to build more than 200 homes and an 18-hole golf course. These plans met with strong opposition and lawsuits from conservation groups and residents. Over the years, multiple attempts were made to acquire the land for conservation, but an agreement was never reached and efforts to develop the property continued. Many entities and conservation organizations have come together over the years to defend this natural asset for Connecticut and to create this opportunity. The collaboration will continue and will be essential to a successful outcome next year. These entities include: the Connecticut Department of Energy and Environmental Protection (CT DEEP), the Towns of Old Saybrook, Essex, and Westbrook, the Old Saybrook Land Trust, the Essex Land Trust, The Connecticut Fund for the Environment / Save the Sound, The Alliance for Sound Area Planning, Audubon Connecticut, and The Nature Conservancy. 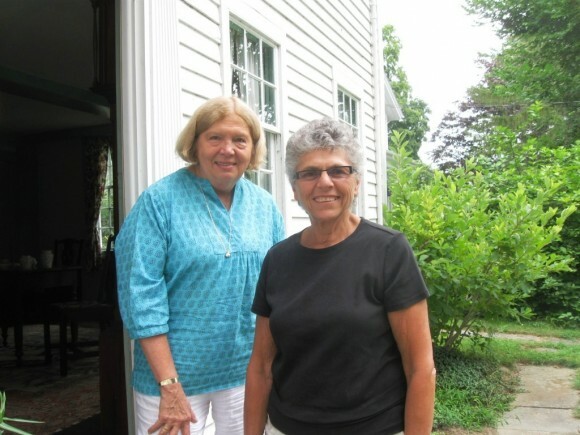 Essex residents, as well as other local history buffs, owe it to themselves to visit the Pratt House, an authentic survivor of over 300 years of local history. Located directly on West Avenue, three doors down from Essex Town Hall, the Pratt House has ample space for parking on its spacious side lawn. 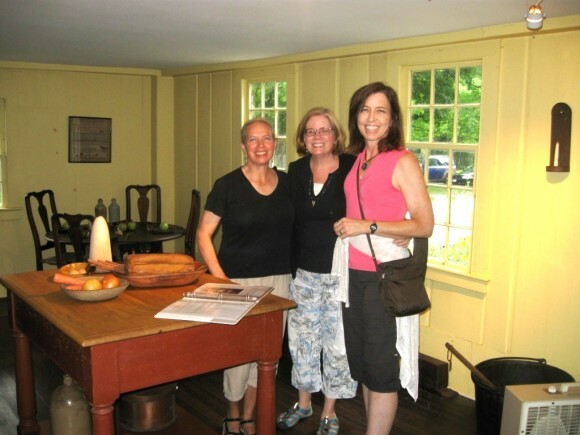 Furthermore, admission to the Pratt House is free, as are the lectures of knowledgeable docents, who are on hand to enhance the visitor’s experience. The Pratt family’s connection with the Town of Essex began in 1648 when William Pratt came down from Hartford to survey vacant land in an area that was called Potapoug. Potapoug at the time encompassed what are now the towns of Essex, Deep River and Chester. William Pratt was born in England, and he came to the American colonies in 1637 to serve as a lieutenant in the Pequot War, which was being waged against the Pequot Indians. After the war William Pratt decided to stay in the colonies, and he, ultimately, moved to the Saybrook Colony and became a farmer. William Pratt’s genealogy continues with the birth of his son, John Pratt, who when he grew up, became the first in a long line of blacksmiths in the Saybrook colony. John Pratt also bought land that was to become a part of Essex, and he deeded this land on his death to his own son, John Pratt, Jr. 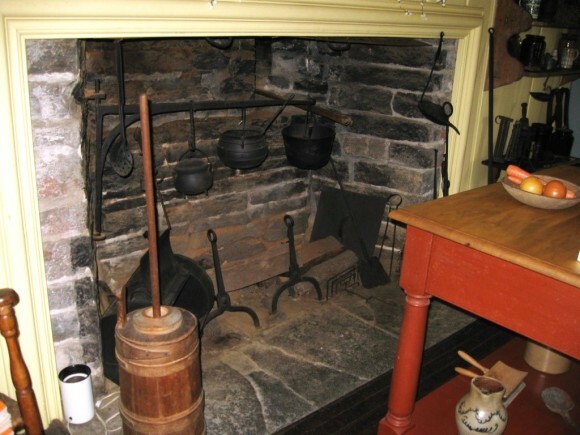 In 1701 John Pratt, Jr., built the first homestead on the property that his father had given him, and this property is now the site of the present day Pratt House. Additions to the original 1701 structure were made by members of the Pratt family in 1732 and 1750, and the final structure of the Pratt House, as it is today, was completed in 1800. In 1852 the Town of Essex was jurisdictionally severed from Old Saybrook and was incorporated as its own town, according to a State of Connecticut plaque in Essex’ Main Street town park. This meant that Essex was no longer under the town government of Old Saybrook. 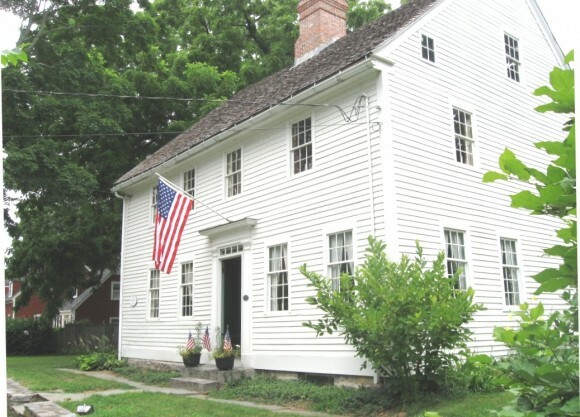 Throughout the years the owners of the Pratt House besides being blacksmiths also became, “farmers, soldiers, ship captains and a manufacturer,” according to Essex Historical Society materials. Then in 1915 members of the Pratt family sold the Pratt House to Mr. and Mrs. Samuel Griswold. However, in a sense the house still remained in the Pratt family, because Mrs. Griswold’s maiden name was Susannah Pratt, whose father was Elias Pratt. 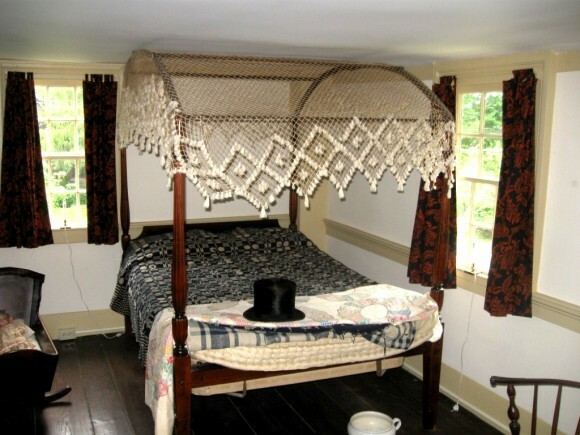 After the Pratt House property had been purchased by Mr. and Mrs. Griswold, the main house was converted into a rental property with individual rooms in the house being rented out to various tenants. Next in 1953 the Pratt House was willed to the Society for the Preservation of New England Antiquities, which turned it into a museum. Then, In 1985 ownership of the property was transferred to the successor organization, the Essex Historical Society. In addition to the Pratt House’s museum space, there is a private renter in the back portion of the building. On the property there is also a reconstructed barn which holds materials belonging to the Essex Historical Society. Finally, way in the back of the two acre property, there is an old fashioned outhouse building, still standing. Beginning August 5, 9 Town Transit will offer expanded service on two popular bus routes. The new schedules will offer new access to medical professional parks in Middletown and East Lyme. The Mid-Shore Express route, which offers service between Old Saybrook and Middletown, has added a new stop on Saybrook Road. The stop will be located in front of the Middletown Professional Park to provide access to the medical services and providers housed there. Service between New London and Old Saybrook will also add a new stop in East Lyme. The stop will be at the corner of Route 1 and Flanders Road, in close proximity to the Lawrence & Memorial Flanders Health Center, Charter Oak Walk-In Medical Center and many area businesses. A new stop will also be added in New London near the Thames Valley Council for Community Action office. 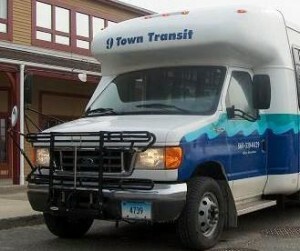 The updated schedules are available at many local businesses and government buildings as well as at www.9towntransit.com. ESSEX— Town officials are planning a vote late this year on a bonding authorization for several capital projects, with a replacement of sections of the Essex Elementary School roof and two bridge replacement projects listed as priorities in a report submitted in July by a volunteer study committee. The five-member capital committee, chaired by Selectman Joel Marzi, has submitted a report to the board of selectmen that reviews more than two dozen potential capital projects for town buildings and properties. Along with the school roof and replacement of the Ivory Street and Walnut Street bridges in the Ivoryton section, the list prepared by the committee also includes several improvements and renovations to the 1892 town hall building. While some of the projects and improvements could be funded by capital sinking funds in the annual town budget, and some deferred, a bond issue would be needed to pay for some of the larger projects. The replacement of sections of the elementary school roof, particularly the sections over a 1991 building addition, is estimated to cost about $1.2 million. These sections of the roof are already leaking in some areas after heavy rainfalls. The committee did not provide a cost estimate for the two bridge replacement projects, though the bridge projects could cost between $500,000 to $1 million each. Some state reimbursement would be available for the school roof replacement, while the bridge projects could be eligible for some state an federal grant funding. First Selectman Norman Needleman said this week the next step for the capital projects would be hiring an engineering consulting firm to “fill in some of the blanks,” and provide more detailed cost estimates. Needleman said the consultant would work with the board of selectmen this fall to further prioritize projects and establish a final plan that would form the basis of a proposed bonding authorization. Needleman said the bonding proposal could be as much as $5 million, to be paid off over 20 years. Needleman said a specific bonding proposal could be presented to the town’s voters by the end of the year, or possibly early in 2014. Needleman said he would recommend voting on the bonding authorization at a town meeting, though residents could petition for a referendum vote on the bonding package. He said any vote on a bonding package would be preceded by a public information meeting. 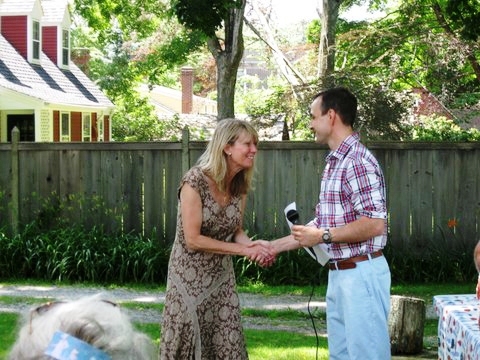 The Chester Town Meeting voted on July 23, 2013 to engage the Town of Chester in a new state program that will allow commercial, industrial and multi-family property owners to receive 100% upfront, low-cost, long-term financing for clean energy upgrades to their properties. The Commercial Property Assessed Clean Energy program (C-PACE) is administered by the Clean Energy Finance and Investment Authority (CEFIA) as part of the State’s Energize Connecticut initiative, which is intended to help consumers save money and use clean energy. C-PACE allows building owners to access capital to finance qualifying energy efficiency and clean energy improvements by placing a voluntary assessment on their property tax bill. Property owners pay for the improvements over time through this additional charge without having to use their own capital. The repayment obligation transfers automatically to the next owner if the property is sold. C-PACE will help keep the Town of Chester a competitive and business-friendly town for CT building owners to locate. The town has over a half million square feet of building area eligible for C-PACE and the hope is many will take advantage of this new program. More information and the application can be found at www.c-pace.com. CHESTER— The planning and zoning commission has scheduled an Aug. 8 public hearing on a special permit application for a new restaurant at 69 Main St. in the downtown village. The public hearing convenes at 7:30 p.m. in the large meeting room at town hall. Monroe Properties LLC and local resident John Schroeder are seeking approval for a restaurant in the ground floor of the three-story building at 69 Main St. The restaurant, serving wood-fired pizza, salads and gelato, would be operated by Jonathan Rapp, owner and operator of the popular River Tavern restaurant that is also located on Main Street. The 69 Main St. building abuts the former town hall property at 65 Main St., and had been purchased by the town in the early 1990s in preparation for a planned expansion of the town hall building. Residents decided in 2003 to construct a new town hall in an existing building at 203 Middlesex Avenue (Route 154), and the 69 Main St. property was alter purchased by Schroeder. The commission has also continued to the Aug. 8 meeting a public hearing that opened July 11 on a special permit application from Chester Point Real Estate LLC to construct a new 5,561-square-foot building at the Chester Marina property, 72 Railroad Avenue. The proposed new building that would replace a smaller existing building would house a seasonal restaurant, along with an office and display area. CHESTER— Voters at a town meeting Tuesday approved a long-range plan to guide improvements to Main Street in the downtown village. About 35 residents turned out for the meeting, approving the plan on a nearly unanimous voice vote after about 40 minutes of discussion. First Selectman Edmund Meehan told the group the plan, officially called the “Chester Village and Center District Master Plan”, is “a public works project first with some embellishments.” The plan was prepared by an 11-member volunteer committee appointed in late 2011, with assistance from the Kent & Frost engineering consultants of Mystic. While a preliminary cost estimate of all of the potential improvements that totals $5.49 million drew some questions, Meehan stressed that improvements would be done in phases as funding for the work becomes available. He said many of the improvements would not be completed until late in the decade, while some may never be done depending on decisions by voters at future town meetings. Along with a reconstruction of Main Street with new curbing and sidewalks, the plan also calls for improvements, including better lighting, to town-owned parking lots on Maple Street and Water Street. Improvements to the core area of Main Street would not begin until after completion of a state Department of Transportation funded replacement of the Main Street bridge over Pattaconk Brook, which is now scheduled to be done in 2016. But Meehan said some of the improvements could begin sooner, possibly next year. The initial phase as outlined in the plan would be a reconstruction of Main Street from the intersection with Route 154 west to the vicinity of the Laurel Hill Cemetery, a mostly residential section that also passes the Chesterfield’s Health Care Center. The cost estimate for this phase is $1.37 million, a figure that includes a $650,000 contingency Meehan suggested is higher than would likely be funded for the work. Meehan said the overall plan would help the town apply for and secure additional state grants to help fund later phases. Specific funding appropriations for each phase would require separate town meeting approvals. The town currently has about $750,000 in available funding, including about $500,000 in state grants and about $250,000 in set aside town capital projects funding. Meehan said the next steps for the plan would be hiring an engineering firm to prepare the initial phase covering the eastern section of Main Street for bid documents. The plan also suggested some of the parking lot improvements could be done before the 2016 bridge replacement. 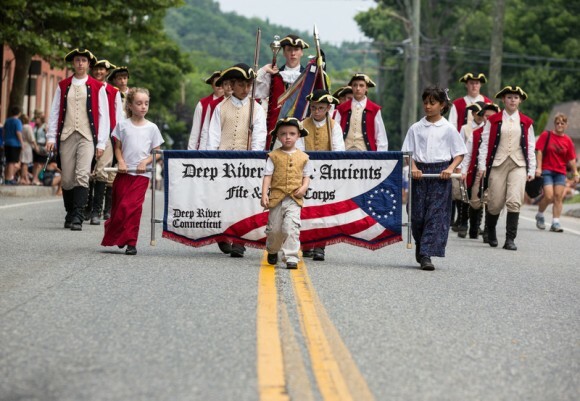 The Deep River Annual Muster is the oldest and largest gathering of fife and drum participants and enthusiasts in the world and has been referred to as “The Granddaddy of All Musters”, and “A Colonial Woodstock”. 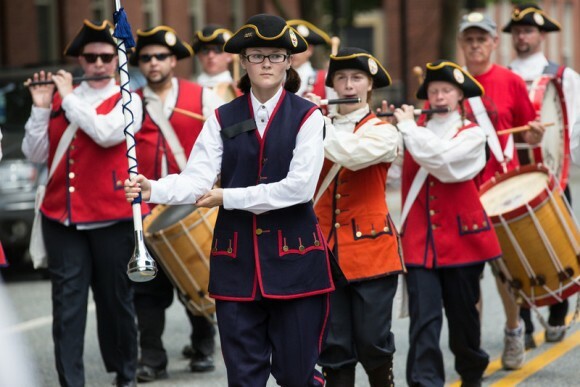 This year’s parade and Muster took place on July 20, and the photos and video below are provided courtesy of local Chester professional photographer John Stack. John Stack can be contacted at johnstack@spiritdogphotography.com. DEEP RIVER— Democratic First Selectman Richard Smith will run unopposed this fall for the third straight town election, but party nominating caucuses have set up Nov. 5 contests for two seats on the board of finance and a seat on the Region 4 Board of Education. Town Republicans nominated no candidate for first selectman at the party caucus, with the seven party members at the caucus discussing a possible cross-endorsement of Smith for a record 13th term in the top job. Lindner said a cross-endorsement, giving Smith both the Republican and Democratic lines, could help Republican candidates in any contested races. But the caucus decided to make no cross endorsements, with some members noting town Democrats had declined to cross endorse Linder and incumbent Republican Town Clerk Amy Winchell for new terms. Republicans nominated incumbent Selectman David Oliveria for a third term on the board of selectmen. Barring any unexpected petition candidates, the 2013-2015 board of selectmen is certain to be comprised of Smith, one-term incumbent Democratic Selectman Angus McDonald Jr., and Oliveria. Republicans nominated Winchell, who was first elected in 2009, and Lindner, for new terms, with no candidate nominated to challenge two-term Democratic Tax Collector Lisa Bibbiani. Republicans nominated two candidates for board of finance, Douglas Nagan and John Wichtowski, who works as a chemist for Pfizer Corp. They will compete for the two open board seats with incumbent Democrat Lori Guerette and Russell Marth. Incumbent Democrat Carmella Balducci is unopposed for a two-year vacancy term on the finance board. Republicans nominated James Olson for Region 4 Board of Education. Olson is completing a term on the local school board that supervises Deep River Elementary School. Olson is in a contest with Democrat Jane Cavanaugh for the seat now held by departing Region 4 Board Chairwoman Linda Hall. Republicans nominated Nelle Andrew and Michelle Grow for uncontested election to the local board of education. Douglas Dopp was nominated for a seat ion the board of assessment appeals, with incumbent Donald Routh and Patricias Unan nominated for library board of trustees. Smith said Wednesday he is pleased with the chance to run unopposed for a new two-year term “I appreciate it,” he said, adding “everybody is working together and the results speak for themselves.” Smith was unopposed for re-election in 2009 and 2011, facing his last challenge for the top job in 2007 from a candidate running on the Deep River Independent Party line. Smith was also uncontested by town Republicans in 1995 and 1999. CHESTER— Town Democrats and Republicans have nominated slates that set up a Nov. 5 election ballot with no contested positions. Democratic First Selectman Edmund Meehan is unopposed for a second term in the top job. Party caucuses last week nominated slates with numerous incumbents, while the positioning of candidates for full and partial vacancy terms provides for no direct contests on the ballot. Meehan moves toward a second term with two-term incumbent Democratic Selectman Lawrence Sypher as his running mate for board of selectmen. Republicans nominated incumbent Selectman Tom Englert for a third term, with no candidate for first selectman. Uncontested elections for the board of selectmen have occurred previously in Chester, with former Democratic First Selectman Martin Heft running unopposed in 1997, 1999, and 2003. Democrats and Republicans each cross-endorsed incumbent Town Clerk Debra Calamari and incumbent Tax Collector Madaline Meyer for new terms. Calamari was first elected as town clerk in 1989. Democrats nominated incumbent Town Treasurer Elizabeth Netch for a new term, with Republicans nominating no candidate for the position. Democrats nominated incumbent David Cohen for a full six-year term on the board of finance, with incumbent Richard Nygard nominated for a full term as board of finance alternate. Republicans nominated appointed incumbent Charles Park for a full term on the board of finance, with Alexander Strekel nominated for a four-year vacancy term as board of finance alternate. There are two full member finance board seats on the fall ballot. Democrats nominated incumbent Henry Krempel for a new term on the planning and zoning commission, with Republicans nominating incumbents Melvin Seifert and Doreen Joslow for the commission. Democrats nominated former Selectman Peter Zanardi for a four-year vacancy term on the planning and zoning commission. While there are two Region 4 Board of Education seats on the ballot, two incumbents elected at a December 2011 town meeting to fill vacancies, are unopposed to continue on the board. Republicans nominated incumbent Mario Gioco for a full six-year terms, with Democrats nominating incumbent Ann Monaghan for a two-year vacancy term. Democrats nominated Arthur Henick and Robert Bibbiani for the local board of education, with Republicans nominating incumbents Ashley Marsh and Shaun Savoie. Democrats nominated incumbent Dudley Clark for a new term on the board of assessment appeals, with Republicans nominating incumbent David Watts for the board. Democrats nominated Susan Ziren and Robert Gorman for library board of trustees, with Republicans nominating incumbent Teresa Schreiber. Democrats nominated incumbents John Delaura Jr. and Michael Desnoyers for zoning board of appeals. Republicans nominated Brian Sakidavitch for a four-year vacancy term as ZBA alternate. Democrats nominated incumbents Albert Armington, Samuel Chorches, and Leroy Edward Ward for water pollution control authority, with Republicans nominating incumbent Felice Cressman for WPCA. Democrats nominated incumbent Christine Darnell for inland-wetlands commission, with Republicans nominating incumbent Eric Davison for the IWC. In order to help restore and sustain the tidal wetlands along the lower Connecticut River, The Nature Conservancy last year undertook invasive phragmites control work at 12 locations on more than 215 acres. Paid for by funding provided by the Ecosystem Management and Habitat Restoration grants administered by the Connecticut Department of Energy and Environmental Protection (DEEP), the state-permitted and safe herbicide treatments are necessary to help sustain the gains made by DEEP, The Nature Conservancy and others against phragmites. Initial post-treatment monitoring concluded in June 2013, and the DEEP grant-funded work completed last year by the Conservancy helps ensure that gains made from previous phragmites control efforts are sustained. In addition to sustaining gains made against phragmites, the project provides more experience and know-how for partners to better analyze best management practices, ensuring future decisions remain well informed. The treatments took place at sites in East Haddam, Lyme, Old Lyme, Essex and Old Saybrook. Observation of conditions in treated areas will be ongoing. In the 1990s, a study documenting the invasion of phragmites along the lower Connecticut River showed that the outstanding native biodiversity for which these marshes are famous was disappearing at an alarming rate. In some locations, over 40 percent of the native plant communities had been converted to phragmites in less than 30 years. Subsequently, the Conservancy, DEEP and others began work to stop these losses and rein in phragmites in the tidal marsh system using conventional herbicide and mulching treatments. Over time, an approximately 80 percent reduction of the plant has been achieved in the tidal marshes of the lower Connecticut River. These efforts also helped regain additional habitat that will see colonization by native species. 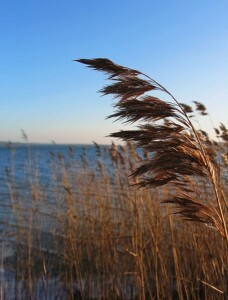 Invasive European strains of Phragmites australis were introduced to the United States in the 1880s, possibly through ships’ ballast, according to the United States Department of Agriculture’s National Invasive Species Information Center. Since then, phragmites has become one of the biggest threats to the lower Connecticut River’s exemplary tidal marsh system. This is because it overruns the native plant communities that are a primary feature in the system’s health and productivity. Although common birds and wildlife can utilize stands of phragmites, the biodiversity and overall ecological integrity of a marsh system is severely compromised by the invasive plant. Sustaining the tidal marsh habitats through efforts such as phragmites control sustains rare plant species, as well as the migratory, shore and wading birds that thrive in these habitats. Among the other beneficiaries are fish, including the Atlantic silverside, that utilize the marshes at high tide. Such work also helps sustain the quality of the Long Island Sound. TRANSITCHEK: See if your employer subscribes to this great service, which allows workers to buy up to $245 per month in transit using pre-tax dollars. If you’re in the upper tax brackets, that’s a huge savings on commutation. A recent survey shows that 45% of all New York City companies offer TransitChek which can be used on trains, subways and even ferries. GO OFF-PEAK: If you can arrive at Grand Central weekdays after 10 am and can avoid the 4 pm – 8 pm peak return hours, you can save 25%. Off-peak’s also in effect on weekends and holidays. Your train may be less crowded, too. These tickets are good for 60 days after purchase. BUY TICKETS IN ADVANCE: Buy your ticket on the train and you’ll pay the conductor a $5.75 – $6.50 “service charge”… a mistake you’ll make only once! (Seniors: don’t worry, you’re exempt and can buy on-board anytime without penalty). There are ticket machines at most stations, but the cheapest tickets are those bought online. And go for the ten-trip tickets (Peak or Off-Peak) to save an additional 15%. They can be shared among passengers and are good for six months. KIDS, FAMILY & SENIOR FARES: Buy tickets for your kids (ages 5 – 11) in advance and save 50% over adult fares. Or pay $1 per kid on board (up to four kids traveling with an adult, but not in morning peak hours). Seniors, the disabled and those on Medicare get 50% off the one way peak fare. But you must have proper ID and you can’t go in the morning rush hours. FREE STATION PARKING: Even stations that require parking permits usually offer free parking after 5 pm, on nights and weekends. Check with your local town. CHEAPER STATION PARKING: Don’t waste money parking at comparatively “expensive” station garages like South Norwalk ($ 10 per day) or Stamford ($10 for 8 hours, M-F). Instead, park at the day-lots in Darien or Noroton Heights for just $3. But be sure to buy a scratch-off ticket in advance. Once you’re in the city, you can save even more money. METROCARDS: Forget about the old subway tokens. These nifty cards can be bought at most stations (even combined with your Metro-North ticket) and offer some incredible deals: put $5 on a card (bought with cash, credit or debit card) and you get a 5% bonus. Swipe your card to ride the subway and you’ll get a free transfer to a connecting bus. You can buy unlimited ride MetroCards for a week ($30) or a month ($112). There’s now even an ExpressPay MetroCard the refills itself like an EZ-Pass. IS IT CHEAPER TO DRIVE? : Despite being a mass transit advocate, I’m the first to admit that there may be times when it’s truly cheaper to drive to Manhattan than take the train, especially with three or more passengers. You can avoid bridge tolls by taking the Major Deegan to the Willis / Third Ave. bridge, but I can’t help you with the traffic you’ll have to endure. 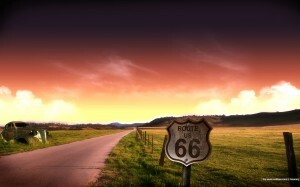 Check out www.bestparking.com to find a great list of parking lots and their rates close to your destination. Or drive to Shea Stadium and take the # 7 subway from there. Its also a good idea to make sure you get the best insurance deal, my friend got theirs from Money Expert and they saved a bunch of money. The bottom line is that it isn’t cheap going into “the city”. But with a little planning and some insider tips, you can still save money. Enjoy! 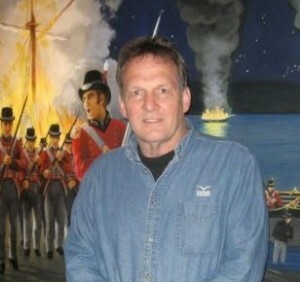 Jerry Roberts of Deep River who has led the Connecticut River Museum (CRM) as executive director for the past seven years is moving on to a new opportunity as battlefield historian for a National Parks Service grant project on the British raid on Essex shipping in 1814. One of the final products of the project will be the nomination to the National Register of Historic Places of an area on both sides of the Connecticut River between Saybrook Point and North Cove, Essex that is known as “Battle Site Essex.” The federal grant to CRM and the project was conceived by Roberts who is also writing a book on the subject. The large colorful mural in the Museum that depicts the British raid was installed during Roberts’ tenure and that exhibit will soon receive enhancements through a grant from CT Humanities. Roberts’ term at the Museum has been characterized by enhanced exhibitions that reflect his experiences as Vice President for Exhibits at the Intrepid Museum in New York City prior to coming to CRM. The current field work on the “Battle Site Essex” is headed by archaeologist Dr. Kevin McBride of the Mashantucket Pequot Museum and Research Center who also teaches anthropology at University of Connecticut. The initial documentary research, completed by David Naumac, with a grant from CT Dept of Culture & Tourism, brought to light the participation of large numbers of area militia on both sides of the River who attempted to impede the British as they returned to their ships in Long Island Sound. The goal of the National Parks Project is to map the entire Raid area and to identify & map the core areas of engagement using GIS mapping and archaeology. Jerry Roberts will bring his expertise to bear in helping to focus the areas that may be of archaeological interest and to assist with the mapping that is a basic goal of the project. Both Roberts and McBride will participate in public meetings with home-owners who may own properties of interest as well as the general public. 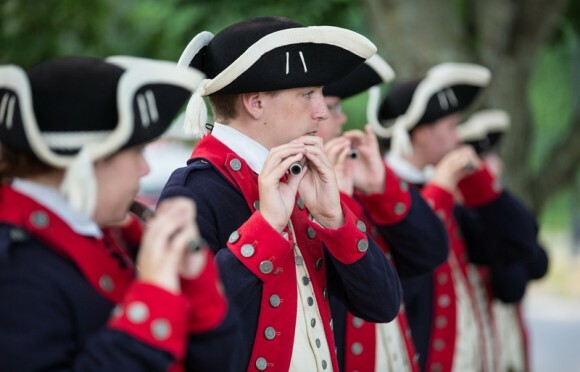 At the completion of the project the pair will host a series of special presentations to bring together all of the new and old information about this incursion that put Connecticut Valley towns in the heat and fire of a war that was not of their choosing. DEEP RIVER— Town Democrats this week nominated First Selectman Richard Smith for a record 13th term in the town’s top office, with incumbent Democratic Selectman Angus McDonald Jr. nominated for a second term as Smith’s running-mate for board of selectmen. Town Republicans will nominate candidates at a caucus Monday, though Smith is not expected to face a Republican challenger in the Nov. 5 election. Democrats at their caucus Tuesday nominated incumbent Tax Collector Lisa Bibbiani for a third two year term. But Democrats did not nominate candidates for either town clerk, to challenge two-term incumbent Republican Town Clerk Amy Winchell, or town treasurer, to contest long-time Republican Town Treasurer Thomas Lindner. Democrats nominated three candidates for board of finance, including incumbent Lori Guerette and Russell Marth for full six-year terms, and incumbent Carmella Balducci for a four year vacancy term. Balducci was appointed to the finance board last year to fill a seat that had been held by her husband, former Speaker of the House Richard Balducci. 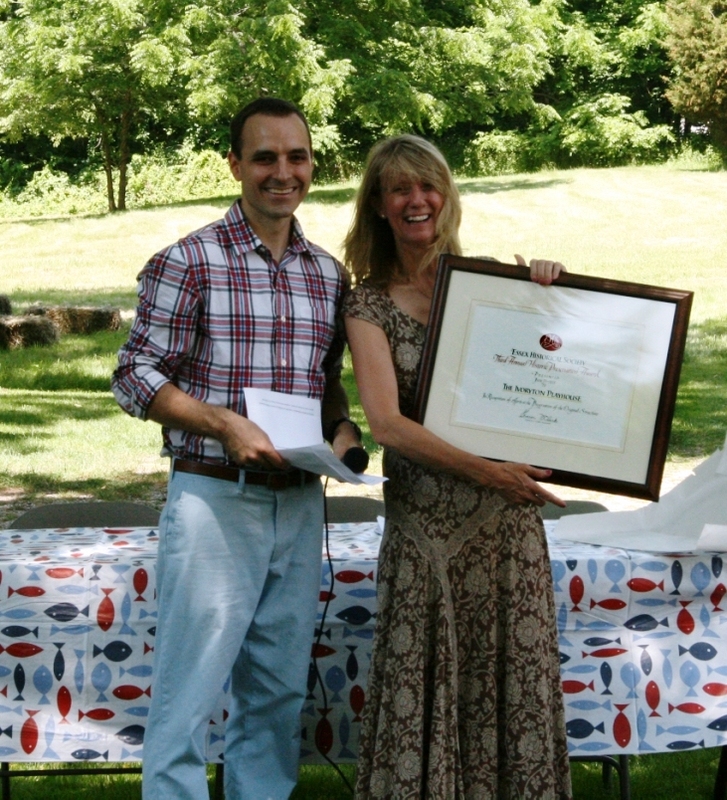 Marth had served a single term on the board of selectmen after he won election on the Deep River Independent Party line in 2007, a year when town Republicans did not nominate candidates for first selectman or board of selectmen. He was unseated in 2009, when Republicans nominated current incumbent Selectman David Oliveria for the board. Marth later rejoined the Democratic Party and became a member of the Deep River Democratic Town Committee. The 2007 election was the last year where Smith faced a challenge for the first selectman seat, with John Kennedy running unsuccessfully for the top job on the Deep River Independent Party line. Democrats nominated Jane Cavanaugh for Region 4 Board of Education. Cavanaugh is seeking the seat held by current Region 4 Board of Education Chairwoman Linda Hall. Democrats nominated two new candidates for the local board of education, Hadley Kornacki and Augustus Ferretti. Democrats nominated incumbent Sharon Emfinger and Roy Jefferson for library board of trustees. Town Republicans will hold a nominating caucus Monday at 7 p.m. in the meeting room at the Liberty Bank branch on Main Street. No candidates have announced to challenge Smith, though Oliveria is expected to be nominated for a third term on the board of selectmen. ESSEX— Democratic First Selectman Norman Needleman will run unopposed for a second term, as party nominations Wednesday set up a low-key Nov. 5 town election with two seats on the board of finance the only contested races on the ballot. 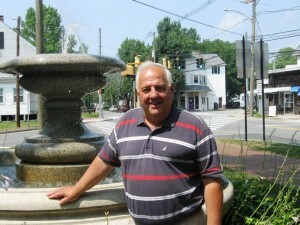 Bruce Glowac, a former first selectman, was nominated by town Republicans for the minority party seat on the three member board of selectmen. The nomination for first selectman was left vacant when about 25 Republicans gathered for a nominating caucus at town hall after Democrats concluded their nominations vote minutes earlier in the same building. Republican Town Chairman Edward Cook said no one expressed interest in the nomination to challenge Needleman. Cook said members of the town committee had concluded that Needleman was “doing a pretty decent job,” and that 2013 was a year to “concentrate on being constructive,” as Democrats and Republicans battle over broader issues on the national level. James Francis, chairman of the board of finance since 2003, was nominated by Democrats for the open position of town treasurer. Francis was not cross-endorsed by town Republicans, but is uncontested for election to a four-year term in the part-time job. Leigh Rankin, a former U.S. Coast Guard officer with engineering experience, was nominated by Republicans for a six-year term in the Region 4 Board of Education. Rankin was cross-endorsed by Democrats. Incumbent Republican Coral Rawn was cross-endorsed by Democrats for a new term on the board of assessment appeals. Democrat Carolyn Rotella and incumbent Republican Adam Conrad were nominated for uncontested election of the local board of education. The only contested races on the Nov. 5 ballot are for two seats on the board of finance. Democrats nominated two-term incumbent board member Campbell Hudson and Mary Louise Pollo. Hudson is a local attorney, Pollo is a former member and chairwoman of the local school board. Republicans nominated Peter Decker, a business consultant, and James Palagonia, a sales representative for a medical products company, for the finance board seats. 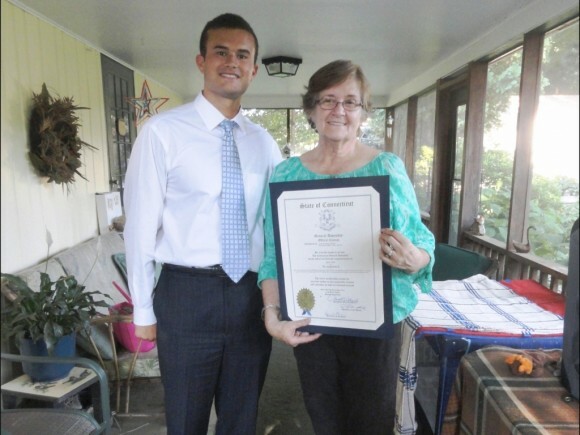 On July 18 Sen. Art Linares honored Deep River resident Grace Krick (right) with an official state citation to commend her on her efforts to rescue and rehabilitate Connecticut’s birds. The citation was co-signed by Rep. Philip Miller. For more details visit www.aplacecalledhoperaptors.com . CHESTER— Voters will be asked at a July 23 town meeting to approve a long-range plan for the reconstruction of Main Street in the downtown village. The town meeting convenes at 7:30 p.m. in the community meeting room at town hall. The plan, prepared by an appointed volunteer committee with assistance from the Kent & Frost engineering consulting firm of Groton, is intended to serve as a “long-range guide to promote commercial viability, attract small business, and improve street surfacing, drainage, sidewalks, lighting, landscaping, and way finding,” in the downtown village. The plan includes recommendations for phasing of improvements in coordination with plans for replacing the Main Street bridge in 2016. It will also be used in applying for state grants to help fund the improvement project. Engineers estimated the total cost of the Main Street improvements at about $1.5 million at a public information meeting on the plan in March. The town is planning to use a combination of set aside town funds and grant funding to pay for the project. First Selectman Edmund Meehan has said a decision by the state Department of Transportation to delay construction on the replacement of the Main Street bridge from 2015 to 2016 would allow the town to begin work on an initial phase of the Main Street Project next year. The initial phase would be a reconstruction of Main Street from the intersection with Route 154 west to the vicinity of the Laurel Hill Cemetery. The second phase, encompassing most of the Main Street commercial district, would be done later, in coordination with the state’s bridge replacement project. ESSEX/DEEP RIVER— Democrats and Republicans in Deep River and Essex will hold nominating sessions over the coming week to pick candidates for the Nov. 5 town elections. Democrats and Republicans in Essex will meet on Wednesday, while Deep River Democrats will caucus Tuesday and town Republicans have set a nominating caucus for July 22. The Essex Democratic Town Committee will hold an endorsement session Wednesday at 6:30 p.m. at town hall. Incumbent Democratic First Selectman Norman Needleman is expected to be nominated for a second two-year term, with incumbent Selectwoman Stacia Libby continuing as his running-mate for board of selectmen. Essex Republicans will hold a nominating caucus Wednesday at 7 p.m. in the auditorium at town hall. No Republicans have announced as candidates for first selectman to challenge Needleman, but a caucus contest is possible for the open Republican nomination for board of selectman. Two-term Republican Selectman Joel Marzi is not seeking re-election, deciding instead to run for the open position of town clerk. While no one has formally announced as a candidate, there is believed to be more than one prospective candidate for the open GOP selectman seat. Democrats and Republicans will also nominate candidates for town clerk, tax collector, town treasurer, board of finance, Region 4 Board of Education, the local board of education, and the board of assessment appeals. Deep River Democrats will caucus Tuesday at 7 p.m. at the Lace Factory building, 161 River St. Incumbent Democratic First Selectman Richard Smith is expected to be nominated for a 13th term in the town’s top office, with incumbent Democratic Selectman Angus McDonald Jr. expected to be nominated for a second term as Smith’s running mate for board of selectmen. Town Republicans will hold a nominating caucus Monday, July 22 at 7 p.m. at the Liberty Bank building on Main Street. No Republicans have announced as a candidate to challenge Smith for the first selectman position. Incumbent Republican Selectman David Olivera is expected to be nominated for a third term on the board of selectmen. The mosquito season will shortly be upon us and many of us, in an effort to keep the pesky insects at a distance, will get out last year’s spray cans and bottles of DEET™ and OFF! or OFF! Backwoods (SC Johnson products.) We may get our sprayers ready and check the hardware stores that feature the latest backyard propane mosquito traps and clip-on repellents. 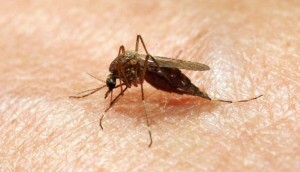 The danger to public health takes the form of two diseases transmitted to humans by the bite of the mosquito, West Nile virus and Eastern Equine Encephalitis. By the way, aerial sprays have been proven to be the least effective approach to mosquito control. Some studies cited in the publication Beyond Pesticides indicate that DEET rapidly loses its effect over time and that it takes only one generation of mosquitoes to become insensitive to the chemicals in DEET because the insects mutate so rapidly. Studies also indicate that DEET, especially in higher percentages, can cause severe skin reactions and can interfere with the central nervous system enzyme identified as AChE. Read the precautionary statements on a bottle of OFF!Backwoods! to get an idea of the potential risks. Studies indicate that under certain conditions using DEET in combination with permethrin has resulted in motor defects and memory dysfunction in humans. In general, spraying the skin with or inhaling spray from products employing permethrin, resmethrin (Scourge), malathion (Fifanon), sumithrin (Anvil), organophosphate or piperong butoxide (PBO) should be avoided. They can be highly toxic to certain humans, especially children and pregnant women. So if I do decide to put my can of DEET aside and avoid products with the potentially harmful chemicals listed above, what can I do to avoid the risk of being bitten by a mosquito carrying a deadly virus? First, make sure that you eliminate all stagnant water in your immediate area because mosquitoes lay their eggs in places like leaf-clogged gutters, discarded tires, bird baths, and rain barrels that are neither covered nor emptied every couple of days. After only four days, mosquito eggs in stagnant water can mature into adults looking for blood. One of the products that you can safely use in pools of water goes by the name Bt (bacillus thuringiensis israelensis). Follow the directions on the product called Mosquito Dunks which may be effective for up to 30 days. Second, prepare before going out in the evening when mosquitoes are most active. Cover exposed skin and apply repellents that do not include the chemicals listed above. Instead, use products with any of the following: oil of lemon eucalyptus or eucalyptus with aloe vera, garlic oil (doesn’t smell), cedar oil, pine oil, pepper extract (picaridin), herbal extracts, and citronella. Also available is a nontoxic mosquito repellent patch that uses a vitamin (Thiamin B1) as its deterrent. It can be used on children as young as one year old and reputedly remains effective for 36 hours. Third, light up the good old reliable citronella candles if you want to keep mosquitoes away from your late night dinner on the patio. So, avoid the harmful chemicals and be ready for a busy summer, one that is free from the buzz and bite of those pesky and sometimes deadly mosquitoes! 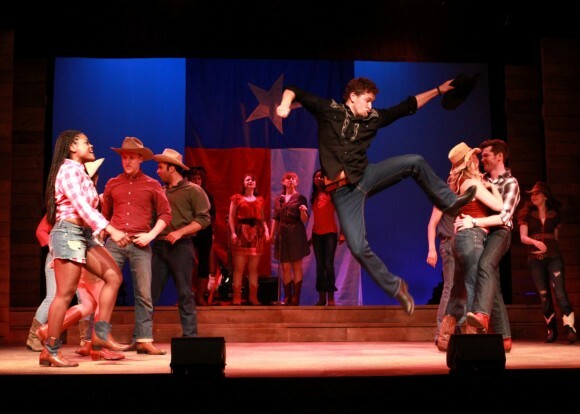 Footloose Is Blowin’ the Roof off The Ivoryton Playhouse! Ivoryton: One of the most explosive movie musicals in recent memory burst onto the Ivoryton Playhouse stage on July 3rd and will be rockin’ the house till July 28th. The movie was released in 1984 and the soundtrack reached #1 on the Billboard charts and sold over 17 million copies worldwide. Its journey to Broadway began in 1996 when director Walter Bobbie collaborated on a stage adaptation with Dean Pitchford and Tom Snow. FOOTLOOSE finally previewed at the Kennedy Center in Washington, D.C., in the summer of 1998, and opened on Broadway on October 22nd. The next day, the show broke the box office record for the Richard Rodgers Theatre, where it continued to thrill audiences into July, 2000. When Ren and his mother move from Chicago to a small farming town, Ren is prepared for the inevitable adjustment period at his new high school. What he isn’t prepared for are the rigorous local edicts, including a ban on dancing instituted by the local preacher, determined to exercise the control over the town’s youth that he cannot command in his own home. When the reverend’s rebellious daughter sets her sights on Ren, her roughneck boyfriend tries to sabotage Ren’s reputation, with many of the locals eager to believe the worst about the new kid. The heartfelt story that emerges is of a father longing for the son he lost and of a young man aching for the father who walked out on him. To the rockin’ rhythm of its Oscar and Tony-nominated top 40 score and augmented with dynamic new songs for the stage musical, FOOTLOOSE celebrates the wisdom of listening to young people, guiding them with a warm heart and an open mind. The Playhouse is excited to welcome Richard Amelius, Artistic Director of Delaware River Theatre Collective, as director of this production and Michael Morris, Director of Music at the Hartt School, as musical director. Mike brings with him some very talented Hartt School alumni including Patrick H. Dunn* (last seen here in GODSPELL in 2009), Zoe Kassay and Cody Ryan. The set design is by Cully Long, costumes by Kari Crowther and lighting design by Marcus Abbott. Music by Tom Snow | Lyrics by Dean Pitchford | Stage Adaptation by Dean Pitchford and Walter Bobbie | Based on the original screenplay by Dean Pitchford | Additional Music by Eric Carmen, Sammy Hagar, Kenny Loggins and Jim Steinman. FOOTLOOSE opened in Ivoryton on July 3rd and runs through July 28th . Performance times are Wednesday and Sunday matinees at 2pm. Evening performances are Wednesday and Thursday at 7:30pm, Friday and Saturday at 8pm. The Playhouse is located at 103 Main Street in Ivoryton. Generously sponsored by: Pasta Vita Footloose is presented through special arrangement with R & H Theatricals. CHESTER— Democratic First Selectman Edmund Meehan has announced plans to seek a second term in the Nov. 5 town election, with incumbent Democratic Selectman Larry Sypher continuing as his running-mate for board of selectmen. With party nominating caucuses scheduled for July 16, Meehan may run opposed for the top job in the fall election. Meehan said this week he has enjoyed serving in the leadership position, and hopes to pursue several municipal projects to completion over the next two years. He cited an initial phase of the Main Street reconstruction project as a priority for 2014, and pointed to the completed second floor renovations to town hall that includes a new community meeting room as one accomplishment of his first two years in office. Meehan, 67, was elected to the top job in 2011 after the departure of three term Republican First Selectman Tom Marsh. First elected in 2005 in an upset victory over six-term Democratic First Selectman Martin Heft , Marsh resigned in August 2011 to take a job as town manager in Windsor, Vt.
A longtime Chester resident, Meehan began his career in public service in the early 1980s as a planner with the former Connecticut River Estuary Regional Planning Agency before serving for 22 years as town planner for Newington. Meehan retired from the Newington job after winning election in Nov. 2011. No Republicans have announced as a candidate for first selectman to challenge Meehan, leading to speculation the one-term incumbent could run unopposed in November. The Common Ground Party has not announced any candidates for the Nov. 5 election. The Republican nominating caucus is scheduled for Tuesday at 6:30 p.m. in the meeting room at town hall. Englert is expected to be nominated for a third term on the board of selectmen.The Democratic nominating caucus is scheduled for Tuesday at 7 p.m. in the meeting room at town hall. Sypher, who was first elected to the board of selectmen in 2009, is expected to be nominated for a third term on the board. Other positions on the Nov. 5 ballot include town clerk, tax collector, and town treasurer, all for four-year terms, two seats on the board of finance, three seats on the planning and zoning commission, and two seats on the Region 4 Board o Education, one for a full six-year term, and one for a two-year vacancy term ending in 2015. 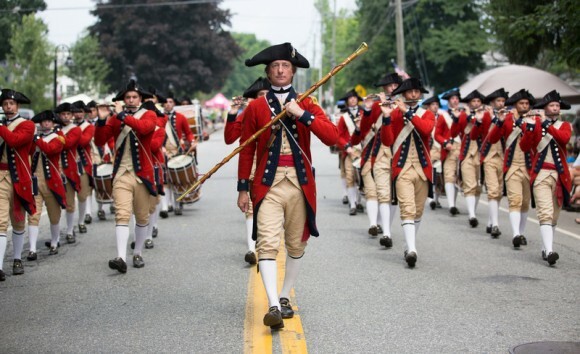 On Thursday, July 4th, the village of Ivoryton hosted our nation’s birthday celebration for the three villages of the Town of Essex. The 8th Annual Ivoryton Village Parade was only made possible by the volunteer efforts and participation of our citizens. Our heartfelt gratitude is extended to the veterans who led the parade, our Grand Marshals Herb and Sherry Clark, the fire fighters, ambulance crews, police officers, elected officials, as well as each and every participant. 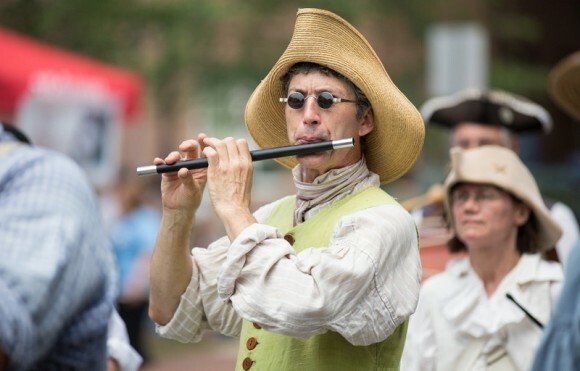 We also owe our thanks to our Town Historian, Chris Pagliuco, host of the ceremony following the parade, Samantha Barlow for a beautiful rendition of our National Anthem and the talented musicians of the New Horizons Band, led by Paddy Hurley. We are fortunate to live in an exceptional community of which we should all be proud. It is the individuals who are willing to volunteer their time and energy that make it such a wonderful place to call home. 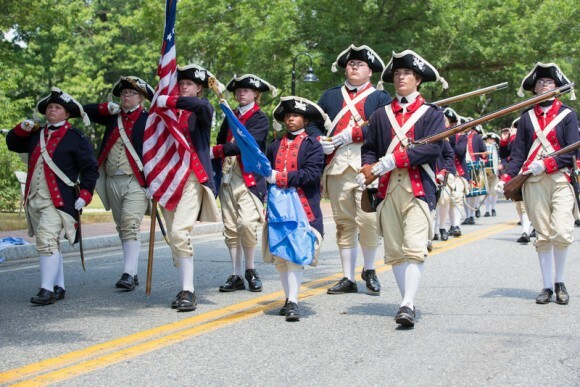 Our thanks to all who made the 4th of July Parade a success!! My mother was born in 1913, and so was my piano. Helen Bloom is, as we say, of blessed memory. 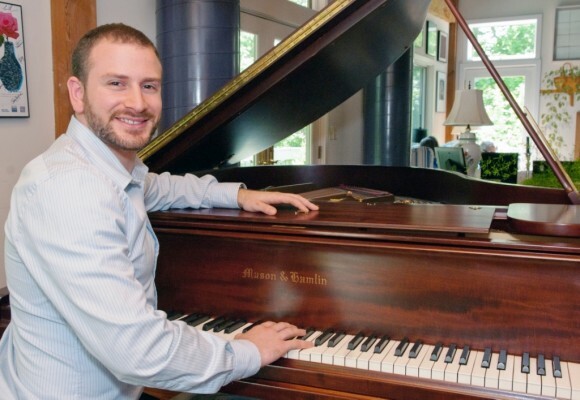 The Mason & Hamlin baby grand remains a tool of blessed memory — allowing me and others to play the songs that my mother loved: Hoagy Carmichael’s “Stardust,” the Puccini aria “Un Bel Di” or any of the standards of the ‘30s and ‘40s. Now that the Mason & Hamlin is about to turn a century old you are invited to something usual — a birthday party for a piano that will honor not the endurance of an instrument but a synagogue community as well, because all the proceeds go to Congregation Beth Shalom Rodfe Zedek in Chester. LB: How do you feel at nearly a century old? M&H: So how should I feel? My middle C is giving me fits, and my hammers have a touch of, what do you call it? — the jimjam jeeters. LB: Oh you’re a comedian, too? M&H: I learned from the best — Borscht Belt, you know. I was played on in the Catskills once. You been to the Catskills. LB: This is not about me. M&H: What? You play me all these years and now it’s not about you? LB: Are you trying to be my mother? Stop with the guilt already. M&H: It’s just that I’m being a little nostalgic. LB: Yes, tell me about it. What was it like back in 1913? M&H: An interesting time for music. Not like now. People actually played melodies in those days. Beautiful melodies. Kids. Every kid played, in the parlor. LB: So, you were a big deal back then? M&H: Sometimes days, or weeks, go by and you don’t play me. What are you doing, writing books or something? LB: I’m sorry. I’m trying to make a living. M&H: You wrote the words to the musical while playing me. Didn’t A Woman of a Certain Age make you a fortune? LB: It cost me a fortune. But let’s get back to the point. The party. We’ll have birthday cake and bubbly, and we’ll toast you. M&H: Yes, and I’ll finally have someone who isn’t an amateur play me. LB: I’m excited about Dan Pardo. Did you hear him play for us last High Holy Days at CBSRZ? M&H: How would I go to Yom Kippur services? I’m happy here in my little corner of the world. And besides, I have nothing to a-tune for? Get it? Atone. A-tune? LB: Well, anyway, Dan has put together a great program — music written during your lifetime, from pieces by Scott Joplin to George Gershwin to Samuel Barber to Dave Brubeck. M&H: And you. Don’t forget something by you. Anyway, I’m excited. Actually. I know about him. He’s maybe the most talented guy ever born in Reading, Pennsylvania. And he’s been on the Goodspeed Opera House staff for three years. LB: How do you know all this? M&H: I read the papers. You remember those? Newspapers? Well, anyway he recently music-directed and wrote vocal arrangements for The Fabulous Lipitones, music-directed and accompanied Come From Away. Did you see City of Angels and Show Boat (oh, do I miss Jerome Kern) — he worked that, too. And others. What a guy. LB: Wow, you’re more than a bunch of 88 keys, mahogany and strings. You actually have a brain. LB: OK, OK, we’ll leave the singing to Dan. M&H: But when, where, why, when, how? LB: Ah, you went to journalism school too? Anyway, there are two levels of tickets for the event on Sunday, August, 4, from 4 to 6:30 p.m. As this is your 100th birthday, wouldn’t it make sense to ask for a minimum donation to CBSRZ of $100 per person? LB: Let me guess. Two cents. M&H: Aren’t you brilliant. Well, you really need $100 a ticket? LB: It will support all of the great things we do at the shul. You should see the oil bill. And we haven’t had a fundraiser for a long time. M&H: That’s not my fault. You should have solar. And what if somebody can’t pay a $100? LB: Well, there’s a second level of tickets. $50. LB: Well, the house is a house, not a concert hall. So some of the seats will have obstructed views. That is, everyone will see you. But not everyone will have a clear view of Dan. People in those seats will pay a reduced rate. M&H: What do they need to pay not to see you? A thousand? Oh, just a little joke there. LB: Yes. Very little. But to the point. Whether people buy $100 tickets or $50 tickets or want to sponsor the event they’ll have a great time, and get their cake, too. M&H: And how do they sign up to honor me? LB: Call Wendy, at the office.860.526.8920. And you look through the closet to see if you have something in ebony and ivory to wear. M&H: Are you trying to pull my strings? CHESTER— The planning and zoning commission will hold a public hearing Thursday on a special permit application from Chester Point Marina for construction of a new building on the marina property at 72 Rail Road Avenue. The building would house a seasonal restaurant and a marine products display area. Chester Point Real Estate LLC of Essex is seeking to demolish an existing building on the property that has frontage on Chester Creek and the Connecticut River. Replacing it would be a new 5,561-square-foot building, with 2,653-square-feet of the new building to be used for a seasonal restaurant that would operate from April through October. The remainder would be used for an office and display area. The plans call for site improvements and 47 parking spaces. The permit application would not change the use for the property in the waterfront design district because a seasonal restaurant has operated in the existing building on the marina property. The public hearing convenes at 7:30 p.m. in the meeting room at town hall. Local and state officials applauded the State Bond Commission’s June 21 approval of a $250,000 pre-development loan to create plans for 18-20 new elderly affordable rental units in Essex. Essex Court is a 36-unit elderly housing complex that opened in 1985. State grants have funded several renovations and improvements at the complex, including a new driveway, in recent years. The planned expansion would be constructed on a one-acre parcel in the back section of the complex property in the Centerbrook section. ESSEX-— The board of selectmen last week discussed the possibility of a town purchase of a residential property at 27 West Avenue that abuts the east side of the town hall property. The 2.5-acre property that includes a 1766 house and barn, has been owned by the late Eileen Samuelson Perry. Perry died on June 15, and is survived by five children. First Selectman Norman Needleman told the board at its July 3 meeting the property would be soon placed on the market for sale. Needleman said the town should at least consider a possible purchase of the property because of its proximity to the hall. The property is assessed at $623,100 on the current grand list, a figure that should represent about 70 percent of fair market value. Needleman said he is uncertain what the listing price would be when the property is placed on the market. Selectman Joel Marzi agreed the option of acquiring the property should be explored, while noting it would take at least six months for the town to be in a position to appropriate funds to purchase the property. An expenditure to purchase the property would require approval from voters at a town meeting, or possibly a referendum. The board agreed to discuss the option further at its Aug. 7 meeting, and possibly schedule a public information meeting on the option of purchasing the property. Needleman acknowledged he is uncertain about how the property would be used by the town, or the cost of upgrading the historic house for possible public uses. ESSEX— The board of selectmen has endorsed the planned extension of the Southern Connecticut Gas Co. natural gas main in to the Centerbrook section that would provide cost saving natural gas service to Essex Elementary School. Acting on a suggestion from First Selectman Norman Needleman, the board at Wednesday’s meeting endorsed the expansion project and the planned conversion of the elementary school to heating by natural gas. The local board of education, acting at a June 25 special meeting that followed an information session with SCGC representatives, has voted in support of converting the school to natural gas. Gas company representative John Maziarz announced at the June 25 session the Orange-based company is ready to undertake a $2.4 million extension of the natural gas north from Westbrook along Route 153 provide service in to Centerbrook, with the extension ending at the elementary school.. There would also be a short extension east on Bokum Road to provide service to the Lee Company factory complex and the Essex Meadows life care community. Maziarz said the elementary school, Lee company, and Essex Meadows would be the three “anchor customers” needed for the project to go forward. Lee Company has already committed for the service, with Essex Meadows also expected to commit to the service. But Needleman reported Wednesday a start of construction for the gas main extension may not begin as quickly as suggested by Maziarz suggested at the June 25 session, where the company representative said work on the extension could begin in August. Needleman said both the elementary school and Essex Meadows need to complete engineering studies to determine exactly what is required to convert the buildings for natural gas heating. He said the engineering reviews could take several; weeks, pushing back a start of construction for the gas main extension in to early fall. In other business Wednesday, the board endorsed design plans for the “town campus” project that is funded by a $471,500 state Small Town Economic Assistance Program (STEAP) grant. The improvement project focuses ion the town hall parking lot and the abutting Grove Street Park. The plans prepared by project engineers with Lenard Engineering of Glastonbury call for repaving the town hall parking lot, including a section that remains unpaved, and constructing a new crosswalk across Grove Street from the town hall parking lot to Essex Library. For the park, there would be new tennis courts and a handicapped accessible children’s playground. Bids for the project will be opened on Aug.8, with construction expected to begin in September. 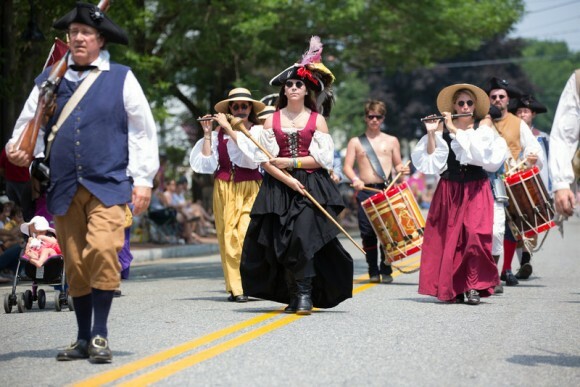 On a blistering Fourth of July, Essex’s Antique and Classic Car Show could not have been cooler. Close to a hundred cars filled with visitors showed up for the show. On view was everything from a 1914 Model T Ford Speedster to a 1937 Cadillac Coupe Convertible. In all there was an estimate of over three hundred people looking over the exhibition-quality, old cars that were spread out on the grounds of Hubbard Field in Essex. 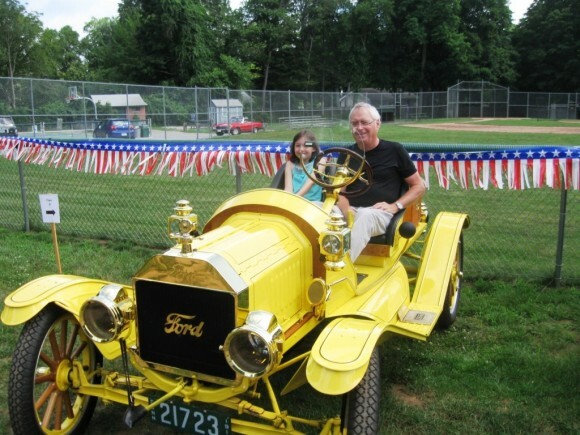 At the very front row of the show was a 1914 Model T Ford Speedster, proudly owned by Bruce Robinson of Chester, who brought along his granddaughter, Ann Lovelace, to the auto show. Robinson said that he had bought the engine and chassis of the Speedster four years ago, and that he paid $40,000 for the vehicle’s renovation. The restoration was done by Ralph Herman of Essex, who specializes in making old cars look like new. One thing that you have to careful about in driving the brilliant yellow car that he had on display is that, “The brakes do not work too good.” “You have to slow down,” before the brakes will engage, he said. Just down the line was a 1912 Ford Model T Touring Car owned by Bruce MacMillan. MacMillan was an unsuccessful candidate for Essex First Selectman in the last town election, and, “It wasn’t even close,” he said. As for his 1912 antique car on display, MacMillan said that 15 million of these touring cars were built by Ford. His car’s model number is 176,713 out of these 15 million built. Also, MacMillan says that he drives his car all the time around Essex, even though the car is now 101 years old. MacMillan noted that his car had its original body and engine, and that it had an estimated worth of $50,000. Also, originally, the car had removable doors. A V-8 powered Chevy Belair was also a star at the Antique and Classic Car Show. Owned by Ed Makrisch, he said that driving his classic vehicle, “brings back many memories.” He said that cars like these provided “basic transportation” for millions of people. 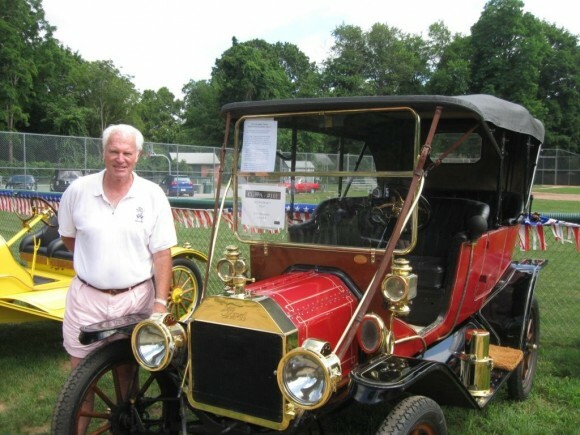 The exhibited cars range he said “from a 1910 Model T, Ford Speedster to a 1971 Mercedes Benz sedan.” Lomme also noted that all of the proceeds from the auto show are being donated to the Child and Family Agency of Southeastern Connecticut. Here Comes a Classic Cadillac! 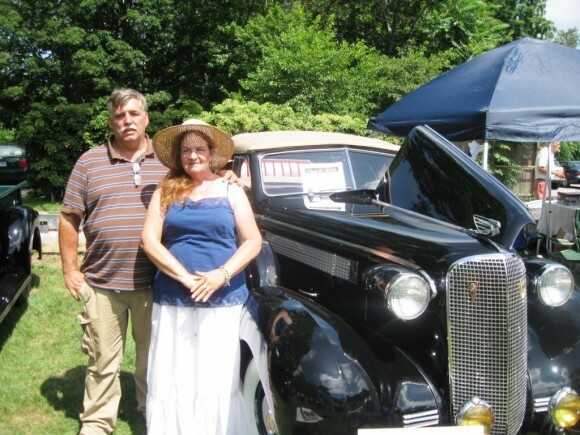 Another star at the show, and there were many, was a 1937 Cadillac, 60 Series, Coupe Convertible, owned by Paul and Leslee Lavigne. 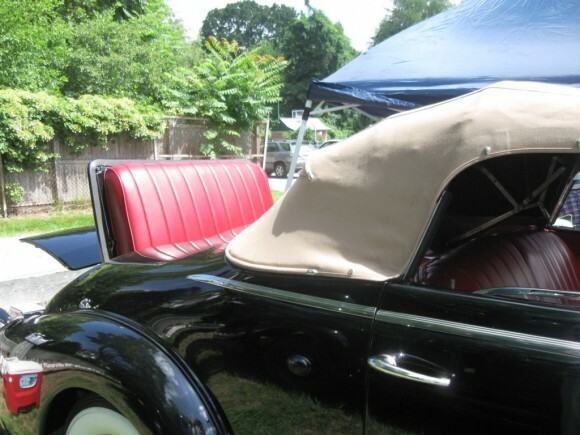 Paul said that when they were restoring their Coupe Convertible up to its present pristine condition, his wife found all of the parts that they needed over the Internet. 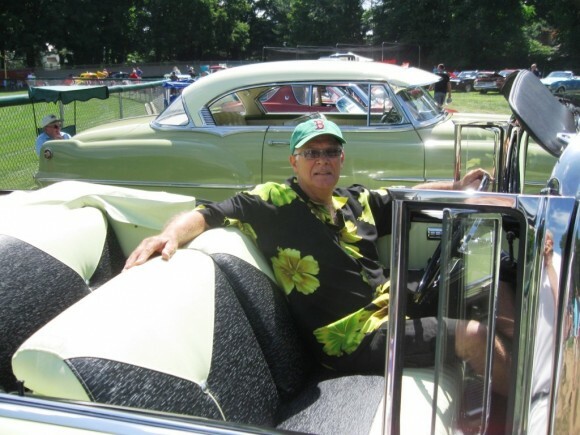 Also, he said that the couple drives their Cadillac convertible to various antique auto shows, and that, “it is a lot of fun to drive.” He also stressed that these were “durable cars,” as well as “a pleasure to ride in.” Also, the car even had a rumble seat in back. At the auto show, there were not only elegant and dependable cars on view, there were also what are called, “muscle cars.” If you are ever asked what that means, it is the name given for the high performance cars of the 1960’s. 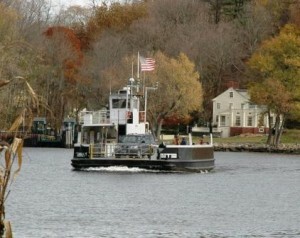 CHESTER— The state Department of Transportation has announced a $1 increase in fares for the Chester-Hadlyme and Rocky Hill-Glastonbury Connecticut river ferries. Fares will increase July 8 from the current $3 to $4 for vehicles, and from $1 to $2 for walk-on passengers and bicyclists. The fare for vehicles and passengers will be $5 on weekends, Saturdays and Sundays. The plan announced by DOT Commissioner James Redeker also calls for another fare increase in 2014, when fares for vehicles will increase to $5 on weekdays and $6 on weekends. The cost for a 20-ticket discount coupon book will also increase from the current $40 to $50. In 2014, the cost for a discount coupon book would increase to $60. The increase, which is the first hike in ferry fares since 2003, is less than a proposed $6 doubling of the fare that was announced by DOT in the spring. The proposed doubling of fares drew objections from area elected officials, including first selectmen and legislators. About 60 residents turned out at the Chester Meeting House for a May 22 informational meeting ion the fare increase, with many residents suggesting they could accept a smaller than the proposed jump to $6. There are two very strong arguments against owning a boat. Number one, it is very expensive to buy a boat, and Number two, once you buy a boat, it is very expensive to own it as well. As for buying a new boat, a top of the line powerboat, of say 31 feet, can cost as much as $270,000. A slightly smaller boat of 28 feet can cost $160,000, and even a 20 foot powerboat can cost $50,000. These figures are not “guesstimates,” they come from a reputable boat dealer. Having surmounted the considerable financial hurdle of buying a boat, next there are the frequently the staggering costs of owning one. 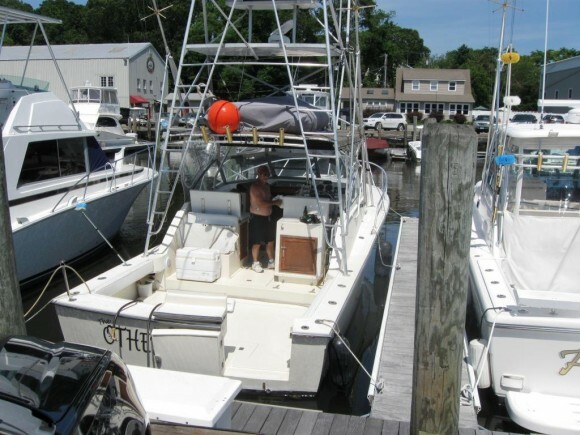 Let’s start by examining the actual expenses of an owner of a 34 foot powerboat, who keeps his boat for the season at Brewer’s Ferry Point Marina in Old Saybrook. Although this boat owner was shy about giving his name, he was more than happy to lament publicly about the high cost of operating his powerboat during the boating season. 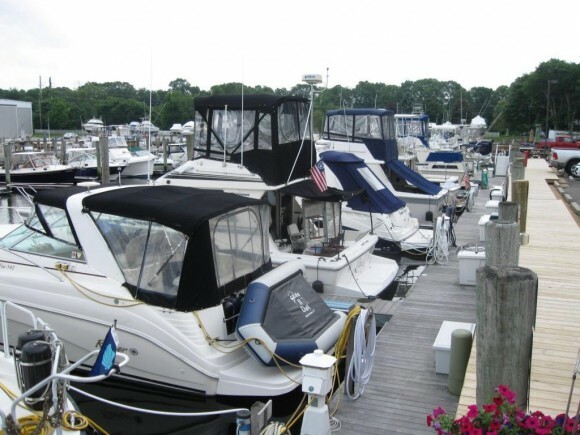 These costs include: paying the winter storage cost of $1,600; paying the boat slip rental fee to the marina of $4,500, and paying his boat’s annual insurance fee of $2,000. However these costs, which total $8,100, are just a start of what he has to pay to operate his boat. This is especially true; if this turns out to be the year, when one or both of the twin diesel engines of his 21 year old powerboat needs repairs. The highly trained mechanics that can fix boat engines, incidentally, are very, very expensive. Now let’s turn to the costs of actually operating this powerboat, such as taking it on a trip to Block Island and back. This trip would cost $500, just for the fuel alone. Also, if he wanted to rent a slip on Block Island that could cost $40, if not more. Another boat owner at the Brewer’s yard in Old Saybrook was the owner of a 20 foot, six inch, powerboat. The owner, who said his first name was “Russ,” is presently a senior designer at General Dynamics Electric Boat in Norwich. 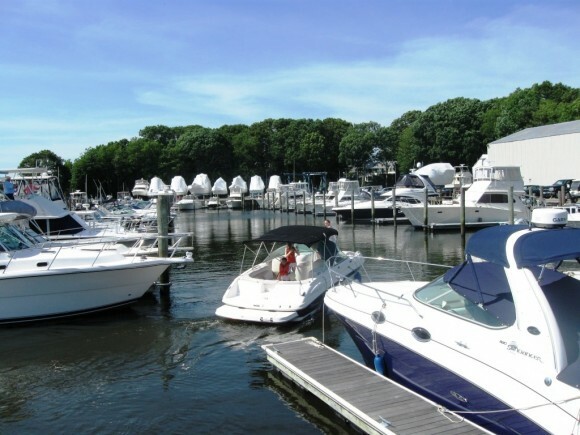 With a certain pride this boat owner said that he could take his boat, “anywhere in Long Island Sound.” For this privilege he pays up front $3,000 a year for a slip at the marina, and $2,000 for insurance. He saves the expense of winter storage, because he keeps the boat off season in his own backyard. The boat owner said that he frequently took his wife and their three children out for boat rides. He also mentioned that when he was younger, he suffered a very serious motorcycle accident, which appeared not to have slowed him down. Also on hand on a recent afternoon at the Ferry Point Marina, was a powerboat that had brought a family of five across the Connecticut River from Old Lyme to Old Saybrook. The members of the family were David Wiese, a Hartford attorney; his wife, Maher-Wiese, MD, a dermatologist in Essex, and their three children, Kaylyn, Ellie and Colin. Asked why he owned a boat, Weiss replied, “Boating is a favorite thing.” He also acknowledged, “The boat is a lot of work, but we do it for the family.” The family has owned their 28 foot powerboat for the past ten years, and, interestingly, they never gave the boat a name. “We just never got around to it,” Wiese says. Another unique thing about their “nameless” powerboat is that there is a huge bimini shading the boat’s entire cockpit area. “That was my idea,” says dermatologist Maher-Wiese. She wanted to make sure that her family was completely sheltered from the harmful rays of the sun, while they were boating. 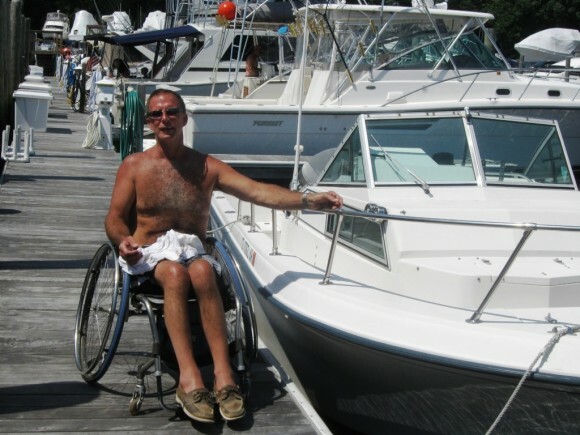 The general attitude of those boaters, who own their own boats, is that the financial expenses just have to be endured. 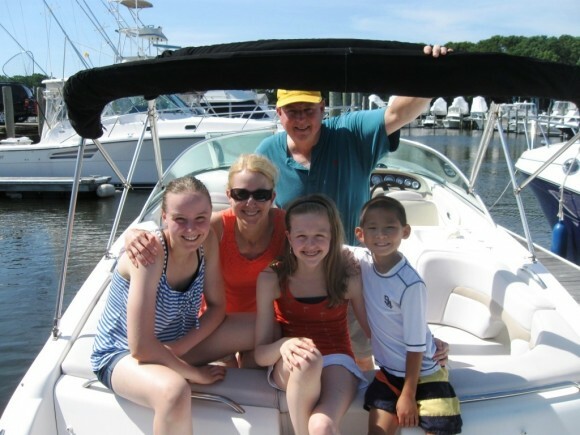 Also, sometimes people get so close to their boats that the boats almost become a part of the family. You cannot begrudge a person from spending a lot of money on their own family, now can you? The Chester, Deep River, Essex, and Region 4 Schools are pleased to announce the appointment of Mr. Tyson Stoddard to the position of Supervisor of Pupil Services. Mr. Stoddard most recently served as a Special Education Coordinator in the Plymouth Public Schools from 2010 until now. Prior to his experience as a coordinator, Mr. Stoddard taught 4thgrade and elementary special education for 5 years. He has been a volunteer with the Big Brother/Big Sisters program, and a student mentor. Tyson Stoddard enjoys skiing, cycling, and golf when time allows, outside of his career interests. 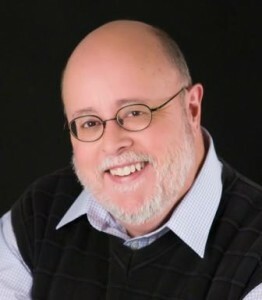 Mr. Stoddard received his Bachelor of Arts in History and Philosophy from Trinity College, his Master of Science in Education in Moderate Disabilities from Simmons College, his Juris Doctor Degree from the University of Connecticut School of Law, and his Certification in Education Leadership at Southern Connecticut State University. Tyson Stoddard has received numerous accolades and honors such as a Merit Scholarship recipient at UCONN School of Law, and the Golden Key International Honour Society most recently. 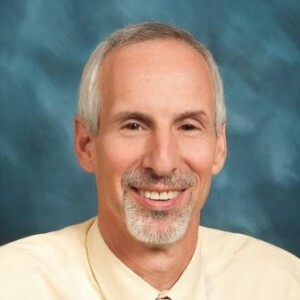 The Supervision District and interview team were very impressed with Mr. Stoddard’s knowledge of both general and special education, his ability to build strong working relationships, his compassion for students and families, and his ability to build forward and creative programs for all students. The entire team is confident that Tyson Stoddard will provide exemplary leadership in our districts. 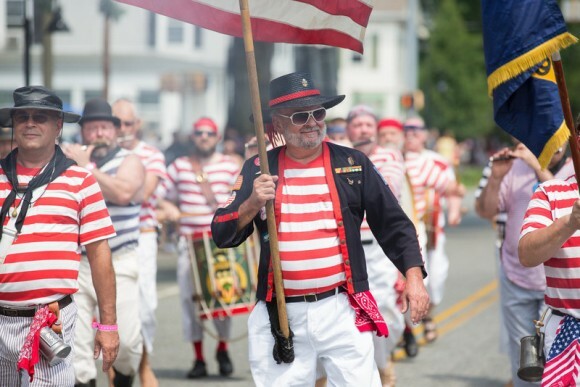 Mr. Stoddard grew up in Guilford, Connecticut and is looking forward to returning to the shoreline. Tyson Stoddard and his wife currently reside in West Hartford with their three children. They look forward to being active participants in our communities. Mr. Stoddard will begin his post on July 1, 2013. Editor’s Note: The supervisor of pupil services position was established by district school boards earlier this year as a way to retain more special education students from Chester, Deep River, and Essex in the district, and avoid costly out-of-district placements and related transportation costs. Stoddard will work under District Director of Pupil Services Tracy Johnston. DEEP RIVER— The planning and zoning commission is awaiting a special permit application for a proposed relocation of the Dunkin Donuts franchise to a vacant commercial building at 241 Main St.. While an application has yet been received, Zoning Enforcement Officer Cathie Jefferson said Monday she has held a preliminary discussion about a plan to relocate the Dunkin Donuts to the building at 241 Main Street, near the entrance to Devitts Field. 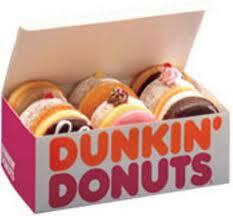 A Dunkin Donuts has been in operation since 2009 at 190 Main St., the former Elms rooming house property. The 241 Main St. property was formerly owned by resident Donald Slater, housing an Irish gifts shop. The building has been largely vacant for more than three years. The property was purchased in 2011 by 246 Main Deep River LLC, a partnership established by Chester businessman Perter Kehayias, who also operates the Oregenon Market on Route 154 in Chester. Last August, the commission approved a special permit to allow conversion of the 241 Main St. structure in to three shops. But no businesses are currently in operation on the property. Jefferson said the preliminary plan she was advised of calls for a Dunkin Donuts and one other unspecified business on the property. Any special permit application for relocation of the Dunkin Donuts would require a public hearing before the planning and zoning commission. Jefferson a hearing could be scheduled for August if an application is received before the commission’s July 18 meeting.